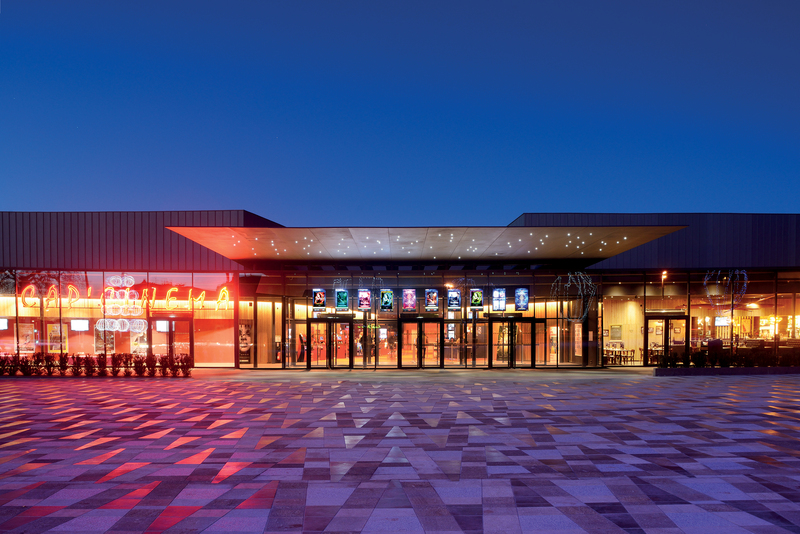 With an impressive overhang of 9.5 m, this unique canopy for a multiplex cinema designed by Atelier d'Architecture Emmanuel Nebout, is thin and watertight. 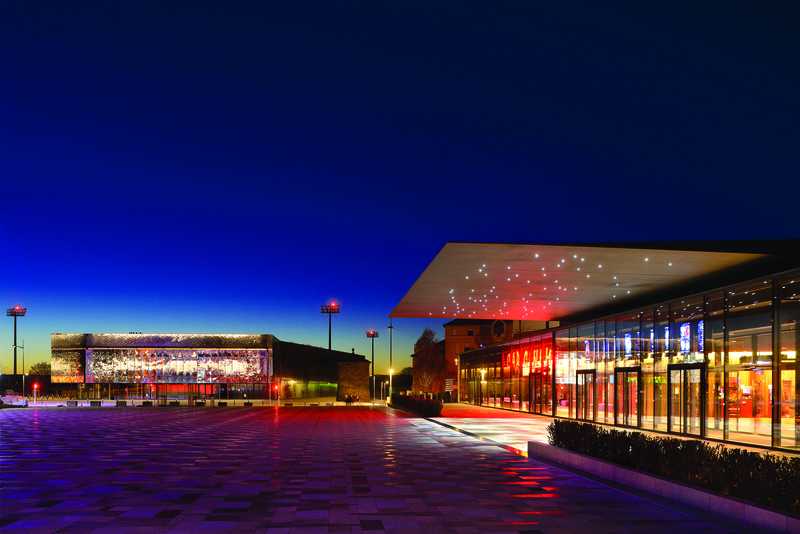 The use of UHPC also allowed the inclusion of LED lighting within the structure. 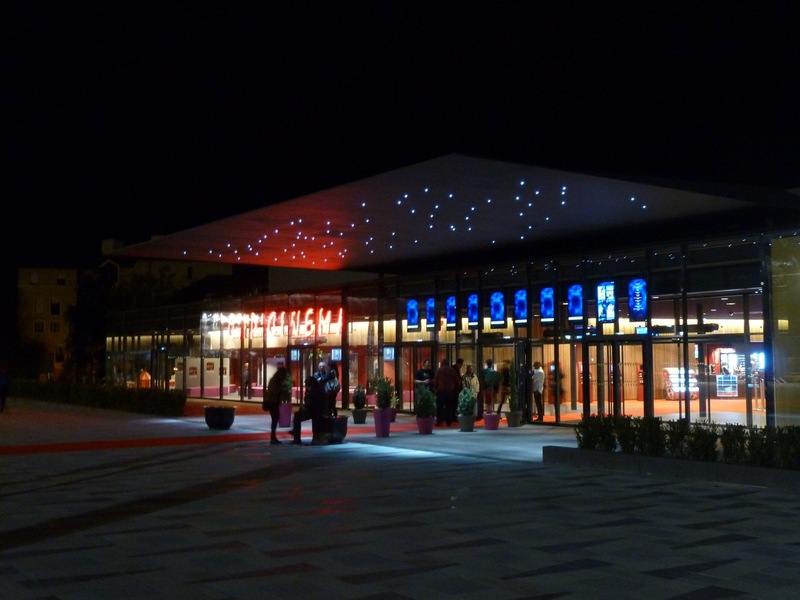 The entrance of a new multiplex cinema ("Cap Cinéma") in Rodez, France has a unique, overhanging canopy with a 9.5 m span. In harmony with the building's open design, the ultra-thin canopy (14.31 x 17.36 m and just 4 cm thick) can shelter up to 300 people. It does not reveal any structural elements (such as beams), thereby releasing the building's front façade and large glass entrance of any visible obstructions. For aesthetics reasons, two abutment elements hide the ribs from the sidewalk. Comprised of 12 juxtaposed precast UHPC panels, the roof conceived by the engineering design firm of Lamoureux & Ricciotti Ingénierie takes into account several environmental factors including: heavy snowloads, wind, sun and heat (expansion). At night , the canopy becomes more discreet as the LED lighting (placed in the underside of the smooth and flat surface) evokes the vision of a starry sky. For this installation, the precaster (Bonna Sabla) placed block-outs into the moulds when casting the UHPC in order to add the lighting system at a latter stage. Moreover, the uniformity of the material's colour and texture contributes to the seamless appearance of the assembled canopy.